Ⴜ(ႫႨႣႠ)Ⴢ ႫႤႴႤ ႫႨႰႨႠႬႤ | წ(მიდა)ჲ მეფე მირიანი. King Mirian, from the Samtavisi Cathedral. Source. For today’s Georgian reading, here are a few lines from the K’art’lis c’xovreba, with Robert Thomson’s translation (Rewriting Caucasian History). და იყოს შვილი ჩემი ორსავე სჯულსა ზედა: მამათა ჩუენთა ცეცხლის-მსახურებასა და თქუენთა კერპთასა, რამეთუ პირველვე ამას ზედა მოეცა ფიცი. “My son [Mirian] will observe both religions, the fire-worship of our fathers and the worship of your idols”, because he had previously given his oath for this. და აღიზარდა მირიან მსახურებასა მას შინა შჳდთა მათ კერპთასა და ცეცხლისასა. Mirian grew up in the worship of the seven idols and of fire. ხოლო შეიყუარნა ქართველნი, და დაივიწყა ენა სპარსული და ისწავა ენა ქართული. He loved the Georgians, forgot the Persian tongue, and learned the Georgian language. The seventh in view here may be Aphrodite, an idol of whom is mentioned as having been brought to Georgia by Sep’elia, wife of the king Rev, and set up at the entrance to Mc’xet’a (ed. 58.2, Thomson, p. 69). In the Life of Nino, we also find mention of Armazi, Gac’i, and Gaim (cf. 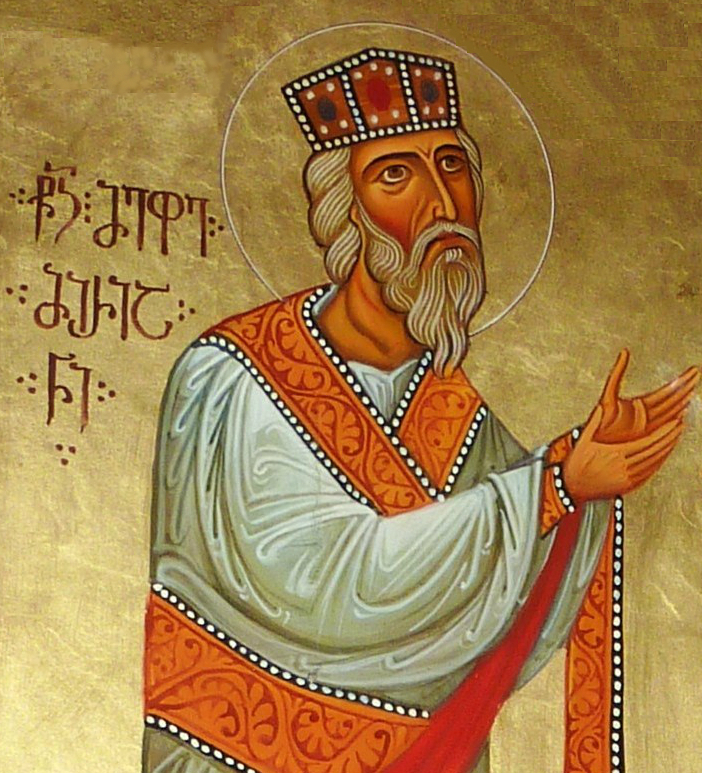 Lang, Lives and Legends of the Georgian Saints, pp. 23-24). 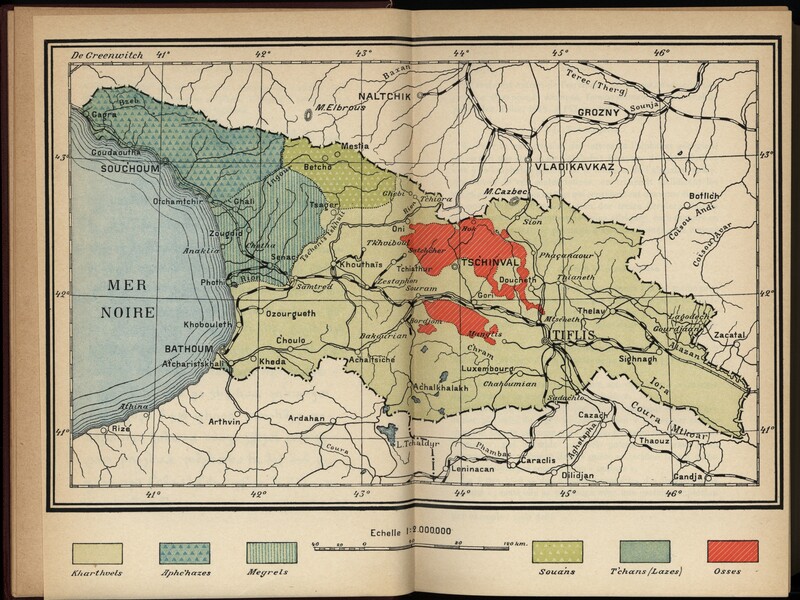 Further on early religion in Georgia, for which the textual data are much later, see especially Michael Tseretheli (1935), “The Asianic (Asia Minor) Elements in National Georgian Paganism,” Georgica 1: 28-66; and later, the indices under the names of the gods in Cyril Toumanoff, Studies in Christian Caucasian History and Stephen H. Rapp, Jr., Studies in Medieval Georgian Historiography: Early Texts and Eurasian Contexts (CSCO 601), esp. p. 277-279, where our passage above is also cited. Thanks to you all, dear readers, for a fun year at hmmlorientalia! Let’s hope for and do what we can to effect safety, well-being, friendship, and enjoyment of life, as we look forward to more manuscripts, texts, and languages in the one to come! In 2012, in terms of manuscripts, I and other catalogers described several hundred manuscripts and identified several thousand distinct texts (I don’t have the exact numbers here before me), and it is our hope that this work will continue to be of use to those at work on the languages, literature, and manuscripts of Arabic/Garšūnī, Armenian, Gǝʿǝz, and Syriac. We have some exciting developments (including within vHMML) and announcements to look forward to in the coming year, so stay tuned! I’m back from a week-long visit to Malta. As I mentioned in the previous post, I was there for the Symposium Syriacum (first part of the week) and Conference on Christian Arabic Studies (last part). The official languages of Malta (since 1934, reaffirmed after independence in 1964) are English and Maltese, and Maltese is now an official language of the EU (from 2003). As a graduate student I studied Maltese a little in Bergsträsser’s Introduction to the Semitic Languages (206-208, with some scattered remarks on 185-198). On arriving to Malta, the first word I noticed was Ħruġ (= خروج) on a sign in the airport. The language is a fascinating arena for linguists to study language contact, sociolinguistics, and other areas of their field. Here are a few remarks on the language especially from a perspective of historical linguistics. Maltese is a striking mixture of Arabic and Romance languages, and the background for this mixture is, of course, observable in its history. While the Muslim occupation of the ninth century and Romance contacts from the eleventh are perhaps the most salient events in Malta’s linguistic history, it is worth highlighting especially that a Semitic linguistic substratum is present thanks to earlier Phoenician presence, Phoenician and then Punic and Neo-Punic having been used on the island centuries before. With the expulsion of the Muslims in the mid-thirteenth century, classical Arabic as a standardizing anchor loses its potency and the mixture with Romance elements begins in earnest. Documents in Latin from the fifteenth and sixteenth centuries reveal a recognition of “Maltese” as a distinct linguistic entity; among those cited by Wettinger (and Borġ) is one from 1521 with the words ut maltensi lingua dicimus. 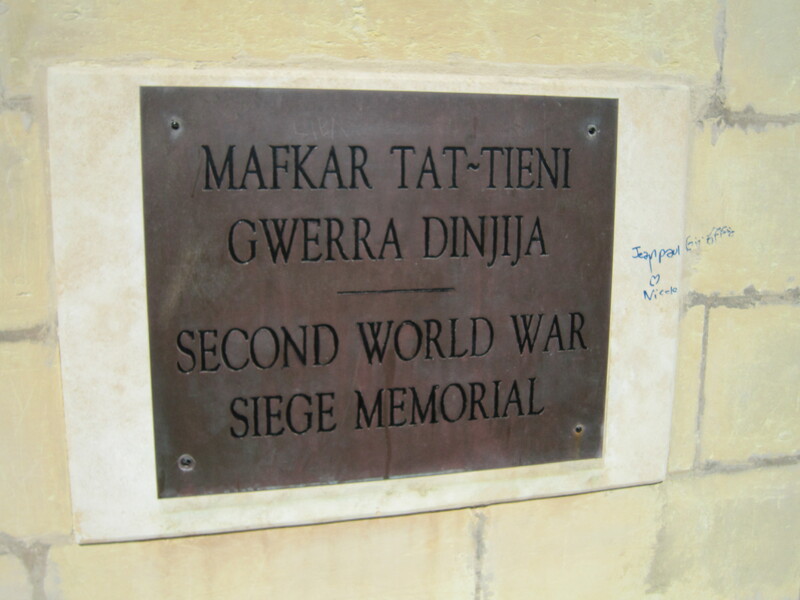 Maltese orthography was standardized in 1924; for the most part, it still conveys relatively well how one pronounces the language, but it does look a little strange at first glance. Below are listed some words that reveal divergences of Maltese from (literary) Arabic, and many of these divergences are likewise known from other Arabic dialects. The sign < below, it should be stressed, is meant to indicate genetic relationship, but not necessarily a direct genetic link, that is, the movement is not necessarily directly from high classical Arabic as a literary, recited, or formal linguistic entity, but perhaps from some form of colloquial Arabic spoken on the island in centuries prior. Four of the elements in the Maltese title are Semitic, one Romance. For nouns and adjectives, the plural forms of Arabic (sound and broken) appear also in Maltese, but Italian or Sicilian nouns generally end with -i in the plural. In verb conjugation, there is nothing surprising if we keep in mind developments that show up in other Semitic languages and especially Arabic dialects. There are six main vocalic structures for the perfect (3ms), e.g. talab, ħareġ, fehem, seraq, kiser, qorob. For the 3fs the theme vowel is reduced and -et comes at the end, and for 2cs and 1cs the ending is -t (no vowel) and the first vowel of the stem has been reduced, as with fehmet “she understood”, fhimt (NB -e- theme vowel > -i-!) “you/I understood”. These same patterns occur again in the plural: for 3cp, we have e.g. fehmu, etc., for 2mp fhimtu and for 1cp fhimna. Imperfect and imperative forms are similarly unsurprising: joħroġ/oħroġ, joqtol/oqtol, jifhem/ifhem, jifraħ/ifraħ. Non-Semitic verbs in Maltese are adapted to the attachment of these prefixes and suffixes. Space here precludes further presentation of verbal forms (including the derived forms, which do occur in Maltese), but suffice it to say that anyone familiar with morphological developments across the Semitic languages will find few snares in the language. I hope to look into syntax in a future post. Brincat, Joseph M. Maltese and Other Languages: A Linguistic History of Malta. Sta Venera, Malta, 2011. Moser, Manfred. 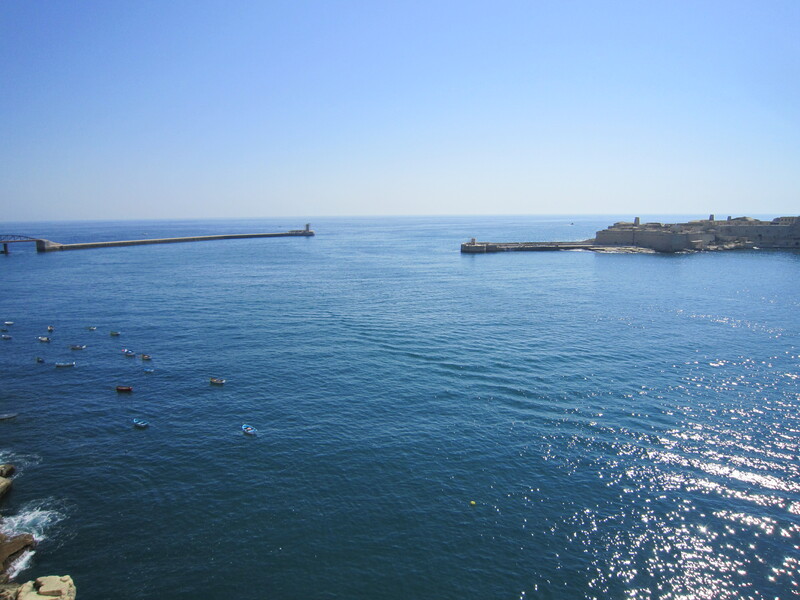 Malti-Ġermaniż ‧ Dizzjunarju kbir. Deutsch-Maltesisch ‧ Großes Wörterbuch. Wiesbaden, 2005. Schabert, P. “Text aus Malta.” In W. Fischer and O. Jastrow, eds., Handbuch der arabischen Dialekte. Wiesbaden, 1980. Pp. 286-291. Wettinger, G. “Plurilingualism and Cultural Change in Medieval Malta.” Mediterranean Language Review 6-7 (1993): 144-153. *There are a few items on Maltese listed in the section “Arabic (dialectal)” of del Olmo Lete’s bibliography for Semitic languages.